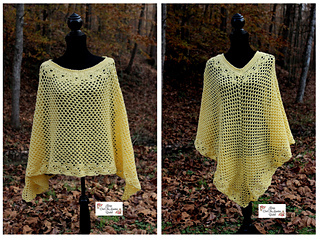 Making this mesh poncho was easy and fun. I love the color’s in Lion Brand’s Mandala Robin Egg. I had to cut the yarn and piece it in place, but the effect is so springy and beautiful. 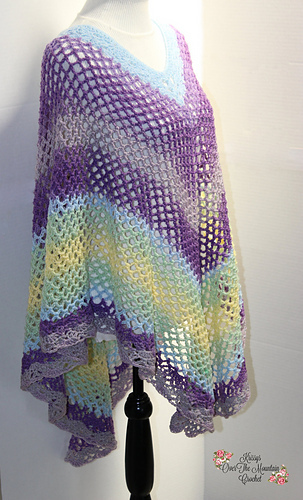 If you are familiar with the multi stitch Over Brook Poncho then you probably know how much fun the Crochet Along (CAL) was. After the CAL was over, we followed it up with a “Crochet Runway Competition” that was over the top exciting. 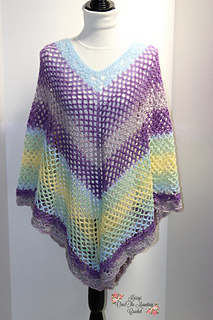 You can find all information about the “Crochet Runway” on my website. 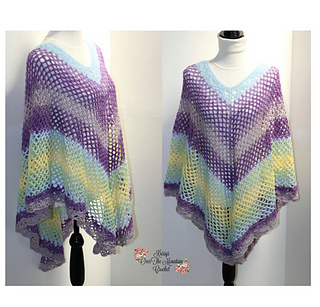 While designing and writing the pattern for the Over Brook Poncho I made a “Mesh” Over Brook Poncho and a lot of you were asking for the pattern. Since I switched from a 4 weight to a 3 weight yarn. Necessary changes had to be made to the mesh portion, but the pattern explains all of that for you.